NB: For those who missed it, click here for my “First Hundred Turns” review of Endless Space. A long time ago in a galaxy not so far away, a little studio created a game that would become a phenomenon. Who knew that Master of Orion and its sequel Master of Orion II would become the gold standard against which all other 4X (eXplore, eXpand, eXploit, eXterminate) strategy games would be measured. In the intervening years, a slow trickle of games have attempted to recapture the Master magic; with relatively few exceptions, these games have been terrible. In Endless Space strategy gamers can finally rejoice in a title that gives the genre’s progenitors a run for their money. Endless Space keeps quite true to the established 4x formula. Players can choose from one of nine playable factions or construct their own custom species. From there, they have one planet, one colony ship, one scout, and the freedom to play as they like. Conquer the galaxy, unite it under a common purpose, or transcend the petty matters of corporeal beings; the choice is yours. This may sound like a complicated task. However, even the greenest of stellar despots need not fear this game’s learning curve. 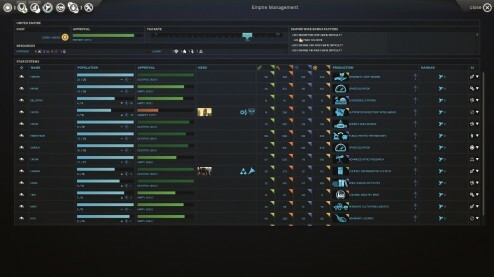 Endless Space boasts is a comprehensive tutorial system that explains about 95% of the game’s mechanics as players naturally work through the ins and outs of galactic governance. Additionally, most points of confusion can be answered by zooming in on the galaxy map or hovering a mouse over the confounding element. Not only is Endless Space’s interface as intuitive as it is subtle, but it’s also the key to some stunning artwork. From the main screen, players can scroll back to view their procedurally generated galaxy as a boundless collection of stars. Zooming in closer shows star systems with their connecting space lanes and wormholes. Zoom in further still to glimpse fleets and a given star system’s construction project. 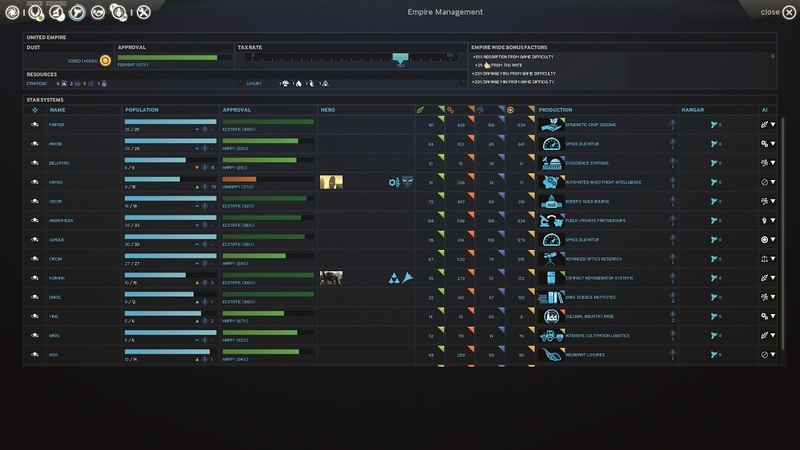 Everything you need to know to manage your empire can be found on one easy to read screen. Clicking a star brings the player to a system overview screen. Endless Space finds the perfect micro/macro management balance in focusing the health of an empire around star systems rather than individual planets. Though there are always a number of planets orbiting a given star, improvements to food, industry, science, and dust (the game’s currency) apply to all colonized worlds within a controlled system. The only choice a player has to make with respect to individual planets is if they should focus on agriculture, production, research, or commerce. This brilliant decision on the part of Amplitude Studios allows for at-a-glance evaluations of a system’s role within an empire. The other benefit to this management mechanic is that the late game need not become a dull process of turning planetary development over to the AI – an option that remains available if you are so interested, but you probably won’t be. Protip: Add two levels of conventional difficulty on to whatever the game says you are playing. Even on “Normal” Endless Space’s virtual foes show no mercy. The AI is methodical, but also sensible. Sensible in what way you ask? In many other 4X games an AI will start to make outrageous demands of its allies once the galaxy fills up. In refusing these demands, a human player will sour the relationship with their AI counterpart until the negative feedback amounts to a suitable pretense for war. Endless Space’s AI is smarter than that. So long as the computer controlled race’s alignment matches up with the player’s, the AI won’t sabotage an alliance for the sake of a military win. Instead the AI might shift its tactics toward a diplomatic or scientific victory. Failing that, it will just use the alliance as a means of running up its score. PS: to the devs, please give us an option to play out a game to the bitter end rather than a 350 turn cap. Combat, an essential part of the 4X experience, is something to behold in Endless Space. On the surface, it may seem like a particularly cinematic rock/paper/scissors experience. As fleets close on each other they pass through ranges where each of the game’s three weapon classes are most effective. Yet the long/medium/close ranges only add bonuses to missile/beam/kinetic weapons. Endless Space demands either balanced ship loadouts or mixed vessel fleets for long term success. Adding another layer of complexity to the combat is a card system. At the start of each battle phase a selected combat card will buff a player’s fleet or hinder the opponent. There are some scenarios where one card will outright cancel another. Defence cards, for example, will balance out attack cards, but a sabotage card will actively counter attack cards. As fleets gain experience and an empire’s technology improves, more combat card abilities become available. The only trouble with this system is that you might spend a little too much time watching the utterly majestic ship battles and forget to assign a combat card. So Endless Space might not have the Lego block ship customization of Galactic Civilizations, but it more than compensates with a genuinely unique combat engine. Remember to pick your combat card before watching the fireworks. Hero characters, which can serve as either fleet admirals or system governors, add yet another twist to the game. As these characters level up, they unlock a variety of abilities that can influence a system’s resource production, citizen happiness, the ability of a planet to resist a siege, or range/damage bonuses in combat. The catch is that as heroes evolve they become more expensive to maintain. Additionally, even the most fantastically wealthy faction has a limited number of heroes at their disposal. Finding the balance between civil development and military command can be a key to success. 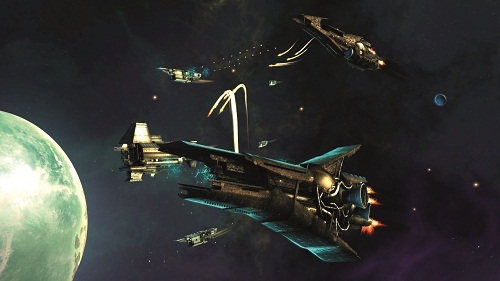 Even Endless Space’s multiplayer, a feature not generally well done in 4X games, proves to be a rewarding experience. Matchmaking is simple enough: either host a game on your own or join somebody else’s. Though a full game with eight players in a large sized galaxy would probably require an afternoon’s investment in time, the AI is able to substitute for any human players who drop the match. It will even go to the trouble of maintaining pre-existing alliances and strategic plans. The vacant seat can also be filled by someone willing to join mid-game. The only obvious shortcoming to the multiplayer is that there’s no private chat between empires. Any wheeling and dealing has to be done through the in-game diplomacy menus or a public chat. The prefixed diplomatic options are suitably robust for player vs AI matches, but lack the subtlety necessary for crafting complex intrigues. The only shortcomings with Endless Space are the sort of sundry things that could quite easily be patched in future updates. There are no real options for inter-empire espionage or sabotage. The former only becomes an acute issue due to the game’s scoreboard. At any point a player can see how their empire is shaping up against all the others in the game, regardless of if those other civilizations have been discovered. When military might, colonial holdings, wealth, and technological progression can be distilled into a score, the importance of diplomacy is somewhat devalued. An option to turn off this scoring would enrich both the multiplayer and single player games. Building in an espionage system to replace the score board would be even better. After that, the only other thing that stands out as an oversight is that random race selection in single player can often lead to duplicates of the same faction. If I order up an eight player game, I don’t want to see three different versions of the United Empire. Save for what’s mentioned above and a few odd AI fleet names, there’s something particularly demoralizing to losing a space battle against a fleet called “TerranTemplate25-ver1”, Endless Space is a fantastically crafted game from start to finish. While the development team has pulled no punches in creating a challenging AI, they’ve clearly demonstrated a desire to bring newcomers into the 4X subgenre. Nostalgia may have inspired this team, but the game and its fascinating lore stand tall on their own merits. Endless Space is positioned to join a very elite club of 4X games that not only appeal to veterans of the genre, but also welcome in a new crop of players. 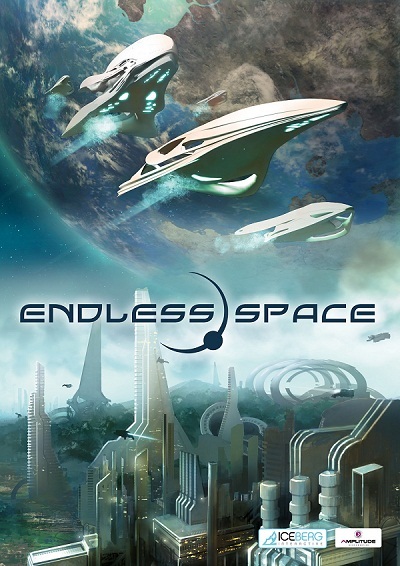 Endless Space is available via Steam for $29.99 USD. The “Emperor” edition, which offers some extra skins, a custom hero, and greater input in Amplitude Studios “Games2gether” program, is available for five dollars more. NB: There is NO difference in game play between the standard “Admiral” edition and the “Emperor”.